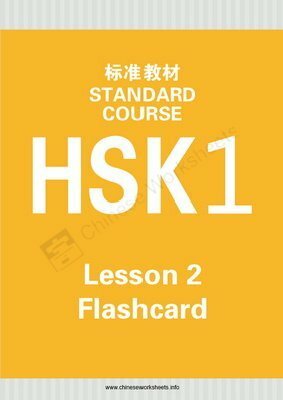 Printable A4-sized flash cards for vocabularies used in HSK Standard Course 1 (ISBN: 9787561937099) Lesson 2. The worksheet is designed for double-sided printing on A4-size papers. 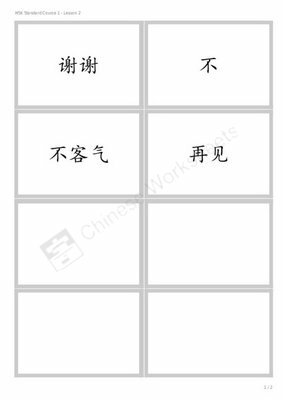 Each front of the flashcard shows the Mandarin word in Chinese characters. 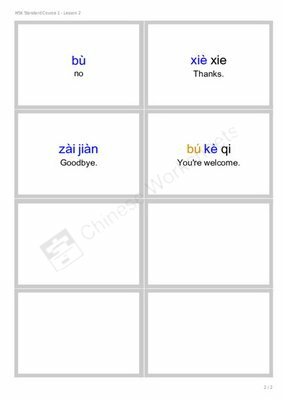 On the back of each flashcard, you can find the Pinyin (with tones) and English translation.